We can’t wait to help them develop into first-rate public speakers! 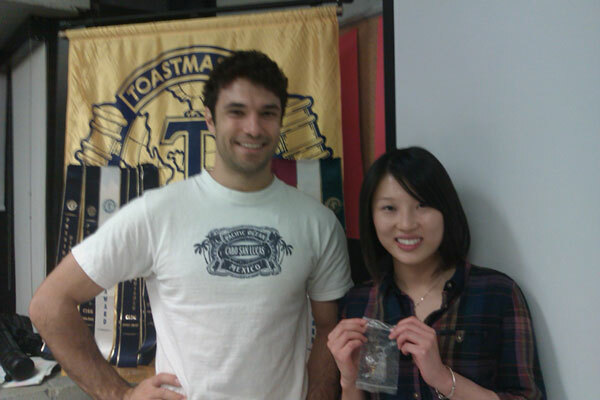 Lily holds up her new Toastmasters International pin. 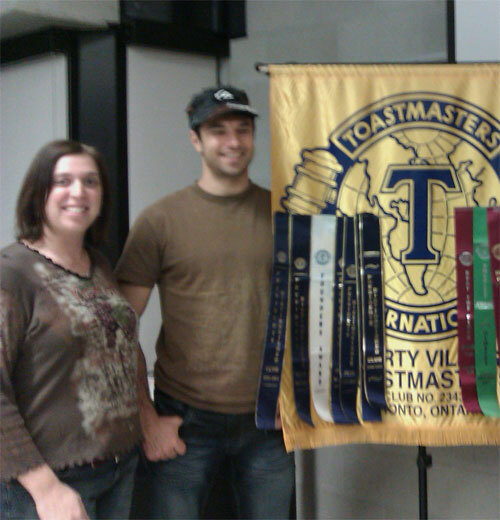 Come out and see why we’re one of Toronto’s most successful and fun Toastmasters Clubs, just like these new members did. Check out the Be Our Guest section, email us at libertyvillage.tm@gmail.com, or better yet, just show up at our next meeting! Only one question remains: When Will You Become a Member? 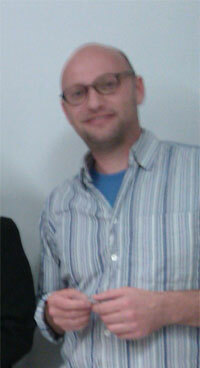 This entry was posted in News, Photos and tagged New Members. Bookmark the permalink.